At just after nine AM on Monday morning, my fire pager went off. Ambulance needed. The dispatcher listed an address about 100 feet from our door. A woman is not breathing. In the year I have been on the local fire department, I have never gone on an ambulance call. I have no training as an EMT and the ambulance comes from the neighboring town. But in this case, one of the paramedics called and asked me to head over. Throwing on my shoes, I offered a quick prayer to the Holy Spirit for guidance. As I walked up to the house, the ambulance had yet to arrive. The street looked much as it had all summer. Except a woman stood outside the front door, wailing in grief. Her mother was dead. She screamed and cursed and sobbed. At first, I just stood there. I wasn’t sure what to do. In my heart, I am always a pastor, but I was arriving on scene as a volunteer firefighter. I was there as a first responder, but my training had not yet prepared me for this situation. Should I go in and check on this woman’s mother, pretending I knew what to look for? Should I stay outside with her? Or go sit with her father, who had barely spoken? Thankfully, another firefighter arrived and we decided to wait for the ambulance. 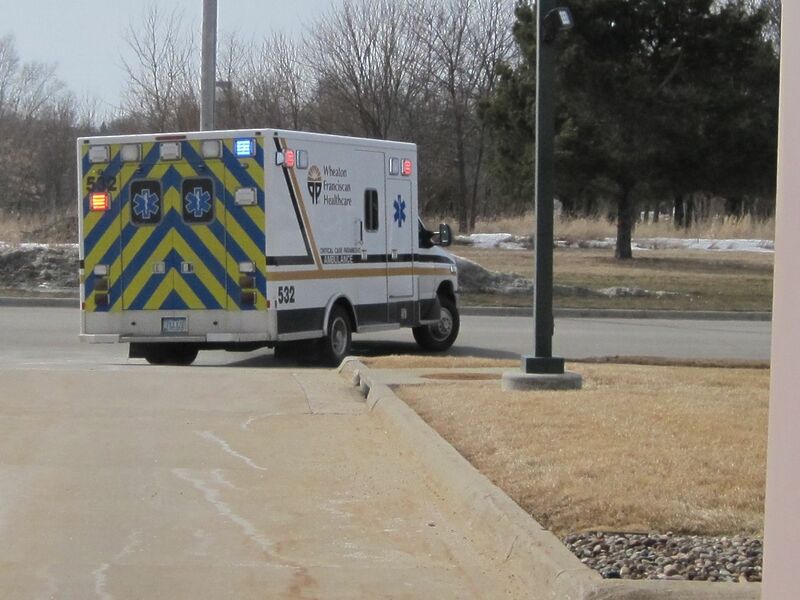 Once it rolled up, the paramedics and EMTs jumped out and went to work. Their skill, calm demeanor, and professionalism allowed me to transition into the role of pastor. My limited skills as a firefighter were not needed at that point. I could be a pastor again. I didn’t know this family, so I wasn’t their pastor, but I was a pastor in this time of grief. I didn’t say much. There was nothing there for me to do. I couldn’t put out this fire and simply go home. This family would never be the same. I talked briefly with the friends gathered outside. I expressed my sorrow to the family who were there. I let them know I was willing to sit with them, pray with them, or share God’s word with them. I ended up staying there with the family until the medical examiner arrived before I gave them my card and told them not to hesitate to call me. Did I say enough? Did I say what I should have said? Was I faithful in how I responded to this tragedy in the life of a family I had never met? I don’t know the answers to these questions yet. I’m trusting that God will work through what I did and will help me to grow into this part of my calling. Pastors, Policemen, Firefighters, and Paramedics are all, in different ways, first responders. We are often the first people on the scene in terrible situations. This morning, as I shifted from being Firefighter Stephen to Pastor Stephen, the other first responders blessed me. Their good work allowed me to do mine. I could sit with the family and talk to the friends because the EMTs and the sheriff were doing their jobs. And it is a tough job, facing death like that. But it allowed me to live out my calling in the space of death and grief with this family. But the paramedics are not the only people I rely on to be able to do my work. Every week, I rely on the good, faithful work of others in their professions so that I can go about this work that God has called me to. I want to be grateful for these people in my life. For our janitors, who commit themselves to caring for God’s house. For the church secretary, who faithfully and cheerfully puts together the bulletin each week. For the guy who repaired our air conditioning. For the people who mow our lawn and plow our streets in the winter. For the little girls in our church who volunteered to write notes of encouragement. For the elderly whose faithful giving and service in our church is a sign of Christ’s kingdom. For our elders and deacons, who sacrifice time and energy to serve Christ through leadership in the church. For parents and grandparents, for churches that raised us, and for all those who supported us and invested in us as we pursued God’s calling for our lives. In every area of our life and ministry, we are blessed by the work of others. Whose work in your life is a blessing to you? First responders have a tough job. One of our local fire fighters said once that he had trouble to go to difficult calls. Some firefighters drink, others smoke and others have their faith. He said he didn’t have any of those and sometimes didn’t know where to go with his sorrow. One of the first questions I was asked by a friend after telling them this story was how I was caring for myself afterward. Sorrow is difficult to bear at the best of times, but it can be even more difficult when we don’t know where to go with it. I hope and pray this man finds the God who can hold all his sorrows, instead of trying to find comfort anywhere else. Thanks, Bill. It’s never easy facing death with someone and Q&A 27-28 can be a huge comfort. Thank you for this. Beautiful and needed words.